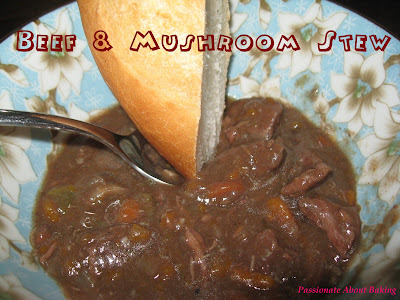 Your beef stew looks delicious! You know what's funny? I really don't care for beef, but I LOVE beef stew. There's so much depth to it with the red wine and beef flavors mixing together; I can't resist it! These must be a very hearty beef stew! I admire you've a such a wonderful partner who likes share the cooking with you. I agree totally with you. The red wine mixed with the beef, is really heavenly! I've tried beef pies in Australia and it's just PERFECT! Chunks of beef, hint of red wine... What else can I ask for? ?